There are many attractive reasons to reside in our province of Andalusia. The Andalusian lifestyle includes a great mix of good, warm weather and excellent cuisine, ensuring you enjoy a quiet and healthy life. The region is rich in panoramic landscapes, sites, quiet rural areas, nature formed from its’ exceptional heritage. Its geography is an example of unique biodiversity, embracing a variety of climates and landscapes. Andalusia is also within the largest concentration of protected, environmental area in Europe. The Andalusian people love a feast and a “good way of life”. They are open, generous and imaginative. Packed with a fascinating history, Andalusia brings together a unique mix of cultures and experiences from Europe. Today, the region is modern and offers plentiful opportunities for more growth, for example, some services such as hospitals are comparable to many European countries. A past that seduces in the present. 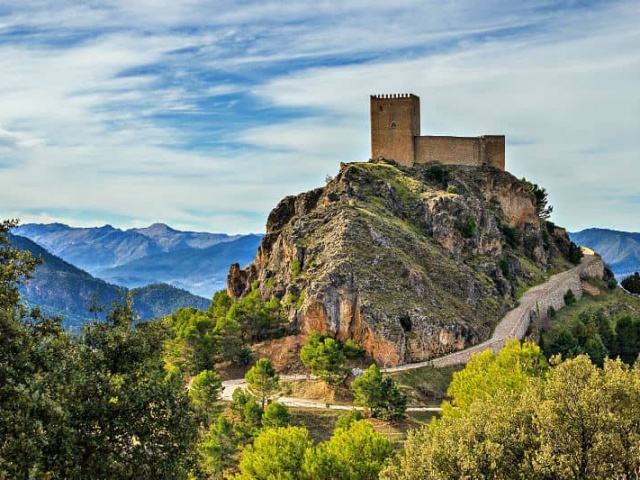 When visiting Andalusia, one embarks on an incredible adventure they will never forget. Archaeological sites from prehistoric times, an exceptional Iberian legacy, the highest concentration of castles in Europe and an impressive Renaissance heritage (World Heritage Site) – a guaranteed reviving of many cultural heritages. Its’ fresh garden products, cereals, extra virgin olive oil, lamb from the mountains, bush meat but especially the gastronomical “know-how” handed down from generation to generation, makes the traditional jiennense kitchen a delight, even for the most experienced palates. Throughout the region, there exist numbers of restaurants and bars that will highlight the taste of the regions rich cuisine. Feel free. Get lost in a land of contrasts, from rugged mountains to rich olive-growing countryside – the region offers a varied landscape which is a real treat for the senses. A great show of flora and fauna, the landscapes will meet the highest expectations for nature lovers.